The autumn season brings pretty colors when it comes to the leaves on the trees. However, that is usually short lived and is just a sign that they are all about to fall. When that happens, you want to be prepared to dispose of the leaves to protect your lawn. That’s where having a good leaf blower and mulcher comes into play. 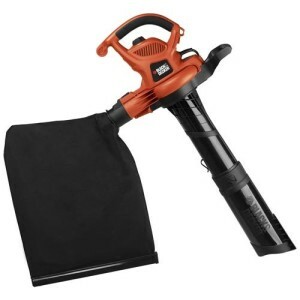 This Black & Decker BV6600 High Performance Blower/Vac/Mulcher is a 3-in-1 machine so it will blow, vacuum and mulch your leaves. Maintaining a beautiful yard even in the autumn months will be a breeze when you have this product. The best review on the Black & Decker BV6600 High Performance Blower/Vac/Mulcher is that the vacuum/mulcher does the job as good as advertised. Whether you have just a few trees or several dozen trees, this 3-in-1 machine will get the job done for you without interruption. You may have to unclog it occasionally, especially if the leaves are slightly wet, but that doesn’t take much effort and you will be back to working in no time. Switching from blower to vacuum/mulcher is a breeze. It doesn’t require any tools to make the switch and you can do it without interruption. Also, any special attachments are easy to assemble and remove so that you can get the job done efficiently. At only 68 decibels, this is one of the quietest blowers on the market, especially for how powerful it is. You won’t have to worry about disturbing your neighbors too much or having any noise violations if you have any regulations in your neighborhood. Even though it comes with a detachable shoulder strap, people still think that this product is too heavy. If you just need to blow off a driveway or deck, then it is probably fine. However, if you will be using it for an extended period of time at once, then it could get a little heavy and force you to take some breaks. Some people have complained that the metal fan for mulching is too small. As a result, the leaves clog up more than they should, which leads to constant stopping to unclog it. You may have to go a little slower than you normally would and also make sure that the leaves are completely dry before using it. Converting from a blower to a vacuum/mulcher is a breeze. No one likes to pick up leaves by hand and fill up dozens of bags for disposal. With the Black & Decker BV6600 High Performance Blower/Vac/Mulcher, all of those problems are solved. Cut your work time at least in half when you have this machine. It is convenient to use and powerful enough to do large jobs as well as small jobs. 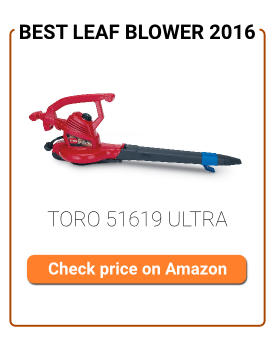 This model is available on Amazon (http://www.amazon.com/Black-Decker-BV6600-Performance-Mulcher/dp/B00FREQBVQ) for less than $100. You can’t beat the price for a quality blower/vac/mulcher that should last you many seasons. Anyone who is slightly familiar with power tools and lawn and garden equipment likely has heard of Black & Decker. The company was founded in 1910 and has been manufacturing quality power equipment ever since. They are widely known as one of the best companies in the industry for providing a quality product at a reasonable price. They manufacture anything from blowers to handheld power tools and other accessories. If you walk through any home improvement store or retailer that sells tools, you are guaranteed to see a wide variety of Black & Decker products.